Great meeting this morning at the Tricenter Building in Orange (if you live in Orange County, you might have seen Farmers sign by 5, 22 and 57 freeways). 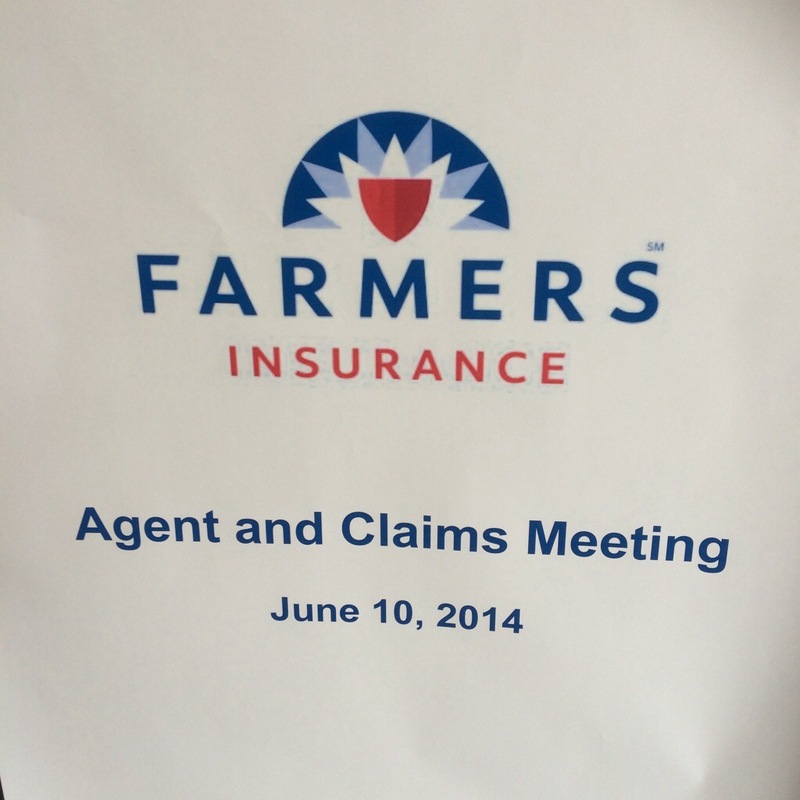 Updates and training on claims process. As an introduction, I thought it would be helpful to share what I do by sharing answers to questions I use for business networking. Question 1: Why are you in business? There is a blog post that answers this question “My Day Job for the Dream Job” which I posted last summer. For a brief answer, I am in business because of my values of sincere and prompt service, excellence in character and compassionate knowledge. I believe theses values set apart my business in its consultative, client focused, and comprehensive risk management for individuals, families and businesses. I sell insurance – auto, home, life, business. My customers are confident planners who plan for accidents, risks, and tragedies that life brings. I help my customers find most value for their insurance expenses. My strategic partners are professionals who help people buy their cars, homes, and businesses and have plans for the risks that come with. 4. What are your core compentencies? I enjoy helping people through advising, consulting and educating. I compete well if clients value trust over transactions. I compete well if clients value honesty and character over price and promotions.